The top TEN Finalists will be based upon votes! Voting can be done once per day for 1 Linden ONLY. 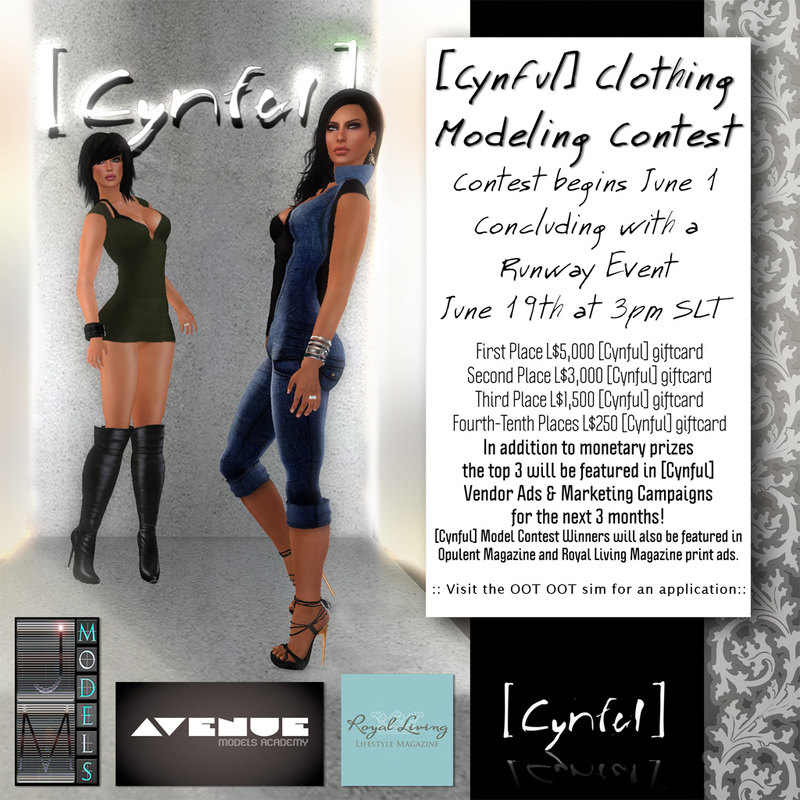 The top ten winners will participate in a small fashion show before the panel of judges on Saturday June 19th at 3PM SLT. In addition to monetary prizes the top 3 will be featured in [Cynful] Vendor Ads & Marketing Campaigns for the next 3 months! [Cynful] Model Contest Winners will also be featured in Opulent Magazine and Royal Living Magazine print ads. AVENUE Models has also offered to provide a special discount voucher to our winner to attend AVENUE Models Academy! This entry was posted in Style and tagged "Fashion Show", clothing, Cynful, Cynthia Ultsch, FashionFeedofSL, iheartsl, JM models, Modeling Contest by Jewell Munro. Bookmark the permalink.